3D Printed Cup Models Bring Out the Plasticware! 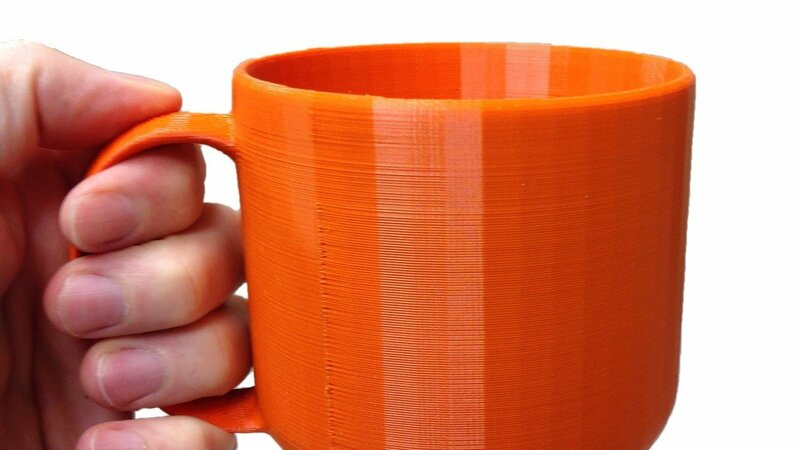 A 3D printed cup is an intriguing concept. 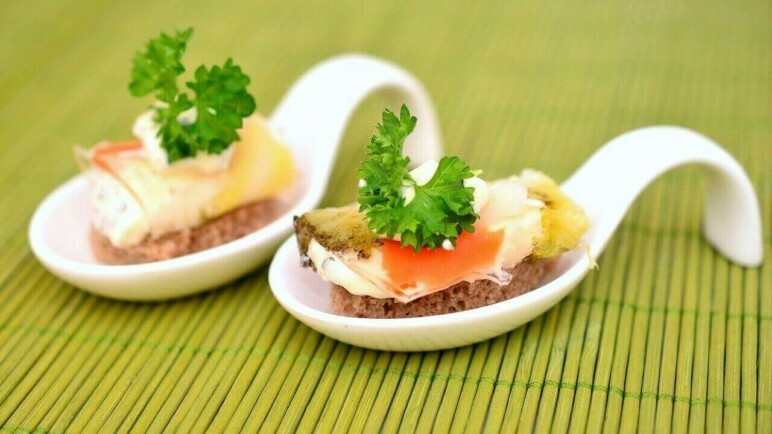 Instead of 3D printing robot parts, aerospace prototypes, or even 3DBenchies, you can bring the usefulness of in-house additive manufacturing into the kitchen! 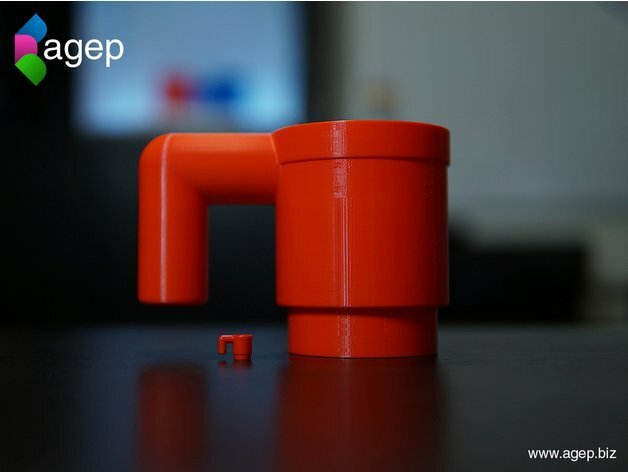 Water Tightness: A cup is defined as a container for drinking, but if your 3D printed cup cannot contain a drink, what is it then? Maybe a cool shelf decoration or a 3D print collection item, but not a useful dish. To achieve water-tightness, try increasing extrusion and selecting materials that can withstand the temperatures exhibited by the hot drinks you want to contain. Bacteria Resistance: Bacteria loves to find lodging in small cracks or spaces. Since 3D prints essentially exhibit layers in their construction, they create perfect homes for germs. Now, if you want to make dishes for one-time use, bacteria build-up is not that big of a problem. However, if you plan to use 3D printed plasticware over and over, you should try to smooth out and clean your prints as much as possible. 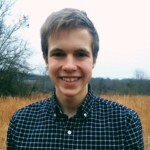 Food Safety: Food safety is perhaps the most important criterion for 3D printed cups. Some filaments, such as ABS, are not the best material for 3D printed dishes because they are toxic. Make sure that the filament and sealants you are using are food safe. Without further ado, let’s take a look at five awesome 3D printable cup models! What is it? What better way to start the day than with a nice distorted cup of coffee? The designer of this first model definitely recognized this and has published a beautiful 3D printable coffee cup to hold your delectable breakfast beverage! Love espresso? Duplicate3D has also designed a similar Espresso Cup for a bright morning “wake-me-up.” (Don’t worry if you prefer tea time — this model is also compatible with tea!) In about 3-5 hours of print time, you can have your very own crushed coffee cup. 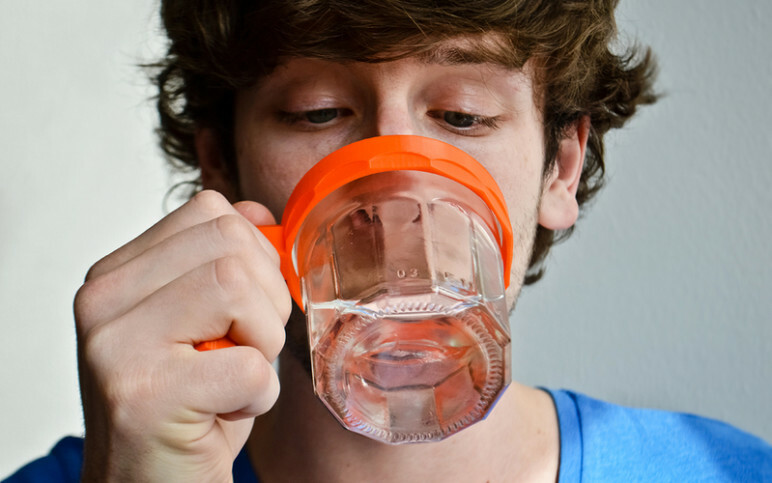 Maybe the look of your 3D printed cup will rival the taste of its contents. Who printed it? 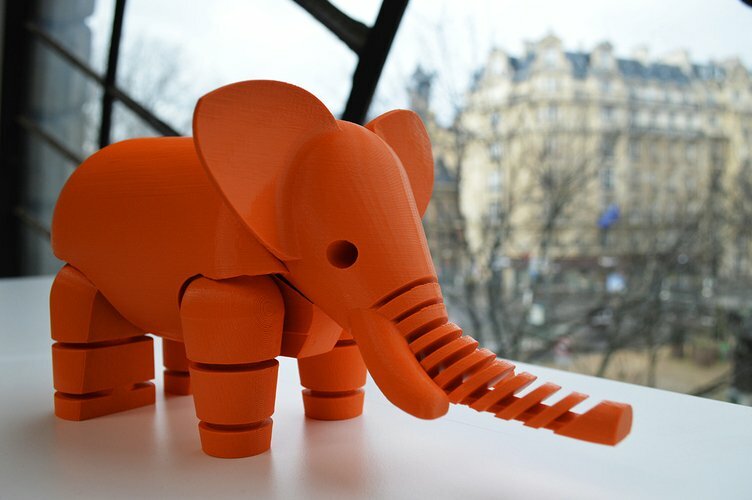 Nine Thingiverse users have printed this model so far. This design looks great in any color! What is it? Love Lego? Perhaps this next model is for you! This human-scale lego cup will be a great addition to your cupboard or 3D print collection. This print does require some support and a good chunk of material, but the result is stunning. 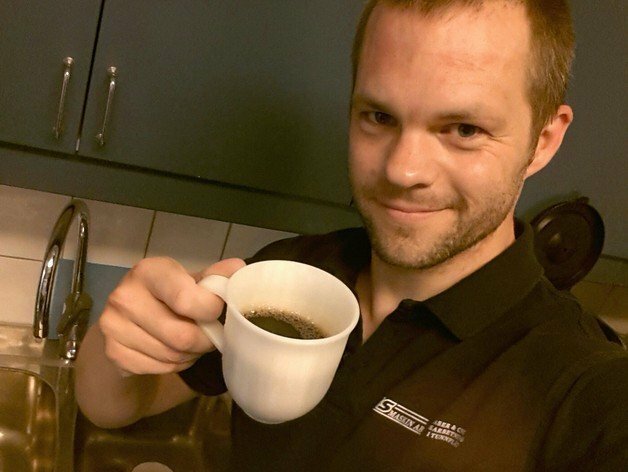 For about 190 grams of filament and around 10 hours of print time, you can have your very own Lego mug. Why let your mini-figures have all the fun? Who printed it? The number of Thingiverse makes of this model has just hit the teens. Any color looks great, but the classic Lego colors definitely take the cake. What is it? Who knew that the father of the 3D Benchy and the Open RC Project was also a master cup designer? Actually, it should come as no surprise that his design expertise extends beyond 3D printable boats and cars and into the kitchen. This next model is Daniel Noree’s take on a coffee cup. Simple, elegant, and perfect for a morning drink. In about 3 hours, you can 3D print your very own cup and proudly display it in your cupboard or happily fill it with a tasty drink. Who printed it? No one (so far) has posted a make of this model on Cults3D. However, the 16 makes from Thingiverse prove this model’s functionality. What is it? If you need a mug and a practical use for old jars, this is the model for you. This mug handle is advertised as a way to give your mugs a “second life”. The design is to simply twist onto a small jam jar. However, if this model does not fit your particular jar or cup, don’t worry, you can easily slide this onto the bottom of your cup and show off your universal mug handle. This print will cost you about 30 grams of filament and two hours. This is an incredibly low price for such a unique design. Who printed it? Three makes of this model have been posted on Pinshape. The results are stunning, as are the 35 makes posted on Thingiverse. What is it? If you’ve never heard of the Pythagorean Cup, the idea is simple. If you fill the cup only partially, the cup works normally. However, if you fill the cup over a certain point, the liquid will be forced through the hidden tube and out the bottom of the cup. Though this cup may not completely rid the world of greedy people, it is sure to be a fun party trick (in the most literal sense) and an exhibit of additive manufacturing capabilities. This model may seem pretty complex, but the print is extremely easy. No supports, no long print times, and no outlandish filament costs. At 20% infill, in under 2 hours and with a little over 22 grams of filament, this great print can be your own! Who printed it? Almost 30 makes have been posted on Thingiverse. The prints are awesome, but we’re sure that the reactions were even better. This listicle is, by no means, exhaustive. 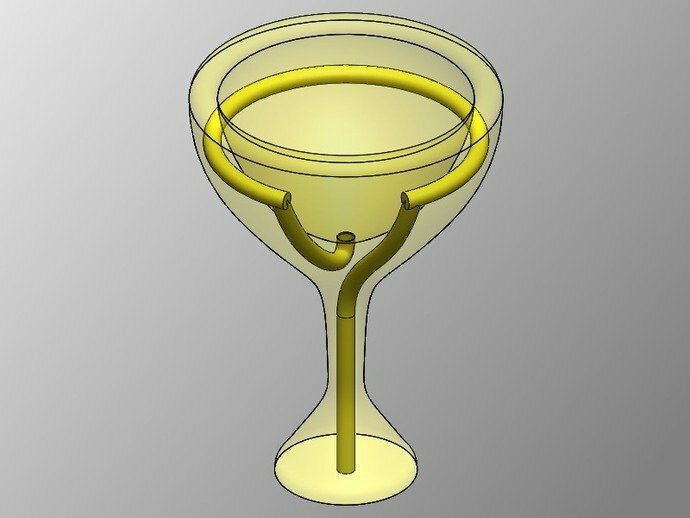 But hopefully, it will give you a head start to finding some great 3D printable cup models. 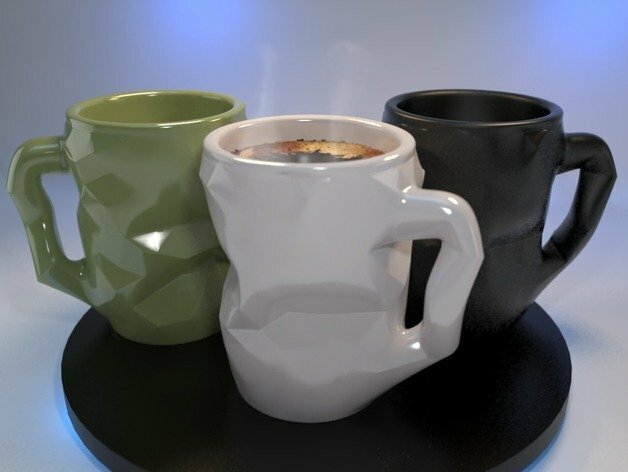 License: The text of "3D Printed Cup – 5 Best Curated Models" by All3DP is licensed under a Creative Commons Attribution 4.0 International License.